If you need to get a friend or family member out on bond, you’re going to want to get it done quickly. Choosing a local bail bondsman will ensure that you have fast service, from a company that’s part of your local community. 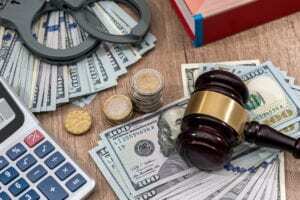 Why Hire a Local Bail Bondsman? Hiring a bail bondsman can be stressful. If you have to bail a friend or family member out, you need someone with local experience. This will mean that the bail bondsman will be familiar with the jail where they’re being held. They’ll also know who to talk to to get the necessary paperwork handled and the release process started. This local knowledge makes it a much easier process compared to using a bondsman from out-of-town. When you’re choosing a bail bondsman, one of the biggest considerations is how trustworthy they seem. A locally owned and operated bail bondsman will be invested in your community. They also want to ensure they have a great reputation amongst the local community. Bail bonds agents often create business through referrals and positive reviews. When you hire locally, you can easily contact that bail bondsman when you have a question or concern. They’re also subject to local laws and are held accountable. Since they work in your community, a local bail bondsman won’t want to risk their reputation by providing bad service. You also may be able to ask around to see if anyone you know has used the bail bondsman you’re thinking about using. This can help put your mind at ease if you’re unsure about who to hire. If your loved one has been arrested, you’ll want them to be released as soon as possible. Since the legal process usually moves slowly and using a local bail bond agent can help speed this up. Waiting for a case to be resolved in the criminal justice system can take months. Even if you’re certain that the case will be dismissed, it makes sense to hire a local bail bondsman and pay bail. This will mean that your friend or family member won’t be stuck sitting in jail while waiting for their case to end. Even just a day or two in jail can impact family life and even lead to job loss. But when someone is free on bail, they can live their life as normal, and hire an attorney to begin working for them. Many local bail bondsman businesses are contactable 24 hours a day. Since they know the local system so well, they can quickly get your loved one out of jail, so their life can resume as normal. A local bail bondsman is well-informed about the law in your community. They will often know others in the criminal justice system and have a great deal of experience with similar cases. If you’re wrongfully arrested or simply don’t know what your options are, these professionals can help explain each option and give you advice about what you should do next. Are you looking for a trusted bail bonds agency? Get in touch today so we can help.